Sales Presentations: Are You Hot or What? You are presenting to the most important customer. You have rehearsed it, and the slide deck uses large font and less than 7 words per bullet. They love it. You rock. You are Hot! 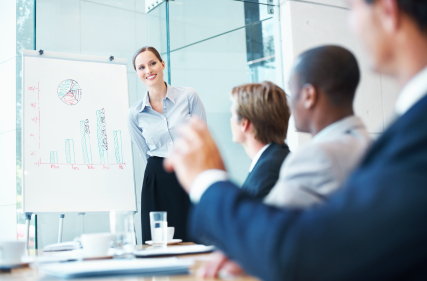 Being able to deliver a good presentation is an important skill for a Salesperson. Sure. Now, have you thought about how engaging you presentations are? Beyond the basics, considering media and style based on your goals is what make sales presentations effective. In Understanding Media, Marshal McLuhan explains that media can demand different degrees of participation from the audience. He defines as “cool” medium the type that is open to participation and “hot” medium the type that is not. For example, one can admire a realistic painting for its beauty or photographic-qualities, but the viewer does not need to make much effort filling in the details. The painting is complete; it calls for passive absorption. It is “Hot”. Impressionist painters, on the other hand, attempt to capture the transient effects of sunlight (which cannot be done literally on canvas). Perceiving the mood of the scene requires interpretation of broken brushstrokes. Compared to Realists, Impressionists are more open-ended, they need active participation from the viewer, they are “Cool”. Want it Hot? Use PowerPoint. Want it Cool? Leave the projector behind. McLuhan also said “The Medium is the Message”. Content is important, but the medium defines the character of engagement. In order to change the communication dynamics, one must consider changing the medium itself. For example, motion pictures or PowerPoint slides are Hot Media and lead to more closed communication. Twitter, on the other hand, is Cool Media, good for interaction, but not the right medium to convey structured and well-formed ideas. Why is it important for people in business to think about Hot and Cool Media? Consider your Goals – If you are at the first stages of a sales engagement with a prospect and want to qualify the opportunity and discover requirements, you want the customer to talk. You want to use Cool Media (e.g. set a roundtable, be conversational, use blank sheets of paper). If you are closing the deal and consciously want to control the agenda and conduct the audience to the close, be Hot (use a rich slide presentation, provide data, saturate their senses). Consider your Audience – There is a new generation ascending to business and, for the next couple of decades, there will be a trend towards Cool, participative communication. Social media will gain priority over print and newspaper ads. Presentations will be less effective than interactive conversations. A seminar or round table is preferred over a lecture. Facebook and Twitter become marketer’s media. So are you Cool or what? About a month ago, I purchased an iPad from the Apple online store. I am greatly enjoying it, thank you. But the inspiration for this post is not the use of the iPad, but the experience of purchasing and getting it delivered to me. 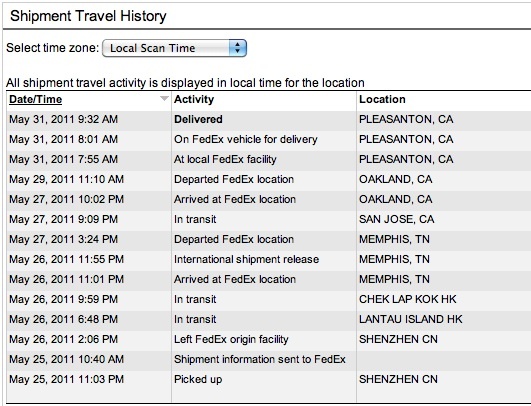 If we look at the Fedex tracking below, we will find that the iPad did not leave from an Apple warehouse in the US, but directly from the manufacturing place in China. It makes sense, no? Apple is shipping so many iPad’s that Fedex can probably consolidate full shipping containers flying over the Pacific anyway. A US-based warehouse would just add more cost and time to fulfill orders, so there is no reason for not having the contract manufacturer in China drop ship them directly to end users. 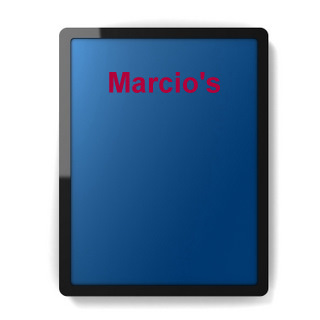 When I placed the order, I was able to request custom engraving of my name on the back of the unit. So that unit was mine from the time it left the assembly line and was packaged for the first time. That level of personalization would not be possible if Apple and Foxconn, its manufacturing partner, were not working intimately together and sharing information about my order. This term was originally coined by Jack Welch, former chairman of GE, to describe companies that break down barriers between them and their customers and suppliers. Companies need to embrace suppliers as true partners to seamlessly deliver value to its customers. That is how I, the consumer, get the experience of a personalized product even before I open the box to use it for the first time. That is true for suppliers, but should companies also embrace its customers within its boundaries, to include them in the value creation process? More and more, the answer is yes. One of the biggest logistic challenges of the furniture business is that products like desks and bookcases are difficult, expensive and fragile to transport when fully assembled. IKEA, a Swedish company, eliminated that problem by selling furniture in flat packs and having customers to carry and assembly it themselves once they get home. In this case, the company included their own customers in the value delivery chain and, by doing that, was able to deliver relatively stylish and high-quality furniture at very low-cost and an overall better customer experience. Because delivery of the product is a huge pain point in traditional business, for many customers, the extra work (or fun, perhaps) of assembling furniture is offset by the benefits. The “Social” in Social Media means that influence travels from person to person, following social connections and interactions. Instead of buying broadcast media to reach all potential customers directly, companies need to embrace and include customers as past of the marketing strategy. If you provide a positive experience to your customers, and provide them with the knowledge and resources to influence others, they will bring their friends to you. That is the essence of social media marketing. In the 21st century, companies need to break the isolation with supply chain partners to deliver customer-centric product/service experience. They also need to break the break the isolation with their customers so that they can expand their business. In other words, boundaries of the traditional corporation dissolves. The new company need to see itself as part of an integrated value delivery ecosystem. Shift from supply chain to the value chain. Hierarchical and segmented business cannot dream of offering a personal experience to its customers. Apple embraces its delivery partners to deliver me an iPad that is mine from the assembly line and can deliver it to me faster and at a lower cost than traditional hardware vendors. Customers are your best partners. There is nobody more interested in the value your company provide than your own customers. IKEA revolutionized the furniture business by designing products with the value delivery chain in mind and empowering their customers to participate in the process. Cultivate Transparency in relationships. Neither Apple or IKEA are particularly good examples of general transparency, but they do it where it matters. Your company must give partners access to the information they need to take responsibility for the customer experience. Arm customers with the information and resources they need to become brand advocates. Embrace Social Technologies. Free flow of information enabled by social technologies is the main catalyst to making boundaryless companies more competitive than traditional ones. Customers can talk to and influence each other through Social Media. Organizations can let information flow horizontal in real-time (not hierarchically, in monthly reports). Let it happen and gain a competitive edge. 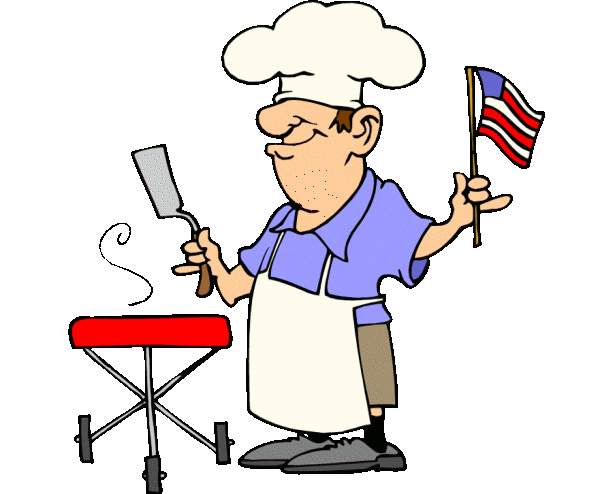 Today is Fourth of July, the day we celebrate Independence Day, usually by lighting up the grill and inviting family and friends to a backyard barbecue. (if you are Brazilian, you should read this post instead). I was born in Brazil, another country where eating meat is an important piece of the diet and cultural identity. Having lived in California for 20 years and spent some time in Australia (another country with BBQ credentials) and Alabama (where “BBQ” means something very different), I have seen many cultural misunderstandings when it comes to eating beef. So, before heading out to the Fourth of July BBQ, I sat down this morning to write about the American way of eating beef for Brazilians. After publishing that article, I realized it would be fun to do the reverse and try to explain the Brazilian way of eating beef for my American friends. In the past years, “Brazilian Steak Houses” or Churrascarias became very popular in the US. If you open an airline magazine, more than half of the advertisements are for those relatively expensive dining experiences. Brazilian cattle have more “Zebu” (original from India) in its genes. American beef has more “Taurine” (from Europe). US cattle is raised confined and “grain-fed”, not eating grass in an open pasture as designed by nature. As a result, American beef is fattier and tenderer than natural beef you would find South of the Equator. In fact, the USDA classification of beef assumes “marbling” (fat deposits within the meat – side-effect of corn feeding) as an indication more desirable beef. The way we cut beef is also different. The most popular cut for grilling in Brazil is “Picanha” (which is a piece of Top Sirloin), which in the US is hard to find because it gets separated and mixed with other cuts of beef. The closest you will find in a typical US supermarket of what Brazilians would consider a good piece of beef for grilling is Sirloin or Tri-Tip. Steak house cuts (Rib Eye, NY Strip) are also popular in Brazil for everyday thin pan-fried steaks (the same steak you find in French Steak Frites), but not the most prized for grill cooking. A Churrascaria is a restaurant where servers dressed in Gaúcho attire walk around holding big pieces of beef on skewers and slicing them into mesmerized guest’s plates. It is “all-you-can-eat” meat, there is usually a good salad bar. Eating at a churrascaria is an experience and, to a large degree, it is an authentic Brazilian experience. “Churrasco” is meat cooked over an open flame, typically in very large pieces using very large skewers. It can also be used to describe beef cooked on a grill over coals (much like the barbecue). Gaúchos (gah -oooo -chos) are the peoples in the South-American pampas (South of Brazil, Uruguay, Argentina), the South American “cowboys”. They eat a lot of beef and also drink Yerba Mate tea. What should you expect if you visit Brazil and someone invites you for a barbecue (“churrasco”) in their backyard? Churrascarias are a very specific type of restaurant and are not necessarily the way Brazilians eat beef most of the time. A typical “barbecue” will not be very different from what I see in California: family and friends, beer and Caipirinha (Brazilian signature cocktail made of cachaça, lime, sugar), a charcoal grill. – You can use your hands. Some like to dunk the morsel of meat in cassava flour before eating it. Ok, need to leave or I’ll be late for Fourth of July barbecue. Hoje é 4 de Julho, dia que se comemora a Independência dos Estados Unidos. E também o dia aqui na California em que se acende a grelha no quintal e se convida os amigos para uma cerveja e… um churrasco. Comer carne é parte importante da cultura e da dieta brasileira e americana. Como nasci no Brasil, moro na California, visitei a Australia (outro pais com tradição churrasqueira) e já passei um tempo no Alabama (onde barbecue tem outro significado), já vi muito mal-entendido quando o assunto é comer carne. Então, antes de sair para o meu BBQ de quatro de julho, sentei aqui para esclarecer algumas dessas confusões. O boi americano é genéticamente diferente do boi brasileiro. O brasileiro tem mais “Zebu” (originado na India) enquanto o boi americano tem mais “Taurino” (originado na Europa). Os métodos de criação de gado nos EUA são mais intensivos, com o boi confinado e alimentado com milho e outros grãos. O resultado é que a carne bovina americana é mais gordurosa, mas macia e provavelmente menos saudável. No sistema de classificação do USDA (Departamento de Agricultura), uma carne tem graduação mais alta quando tem mais “marbling” (gordura misturada na carne, resultado da alimentação com grãos). Os cortes de carne nos EUA também são diferentes. Para entender os detalhes, veja esse artigo. Alcatra é “Eye Round”. Contra-Filé é “Strip Steak/Rib Eye”. Maminha é “Sirloin”. Picanha é difícil de encontrar (porque ele acaba dividido e misturado com outros cortes), mas quando se acha, é “Top Sirloin”. No Brasil, nós comemos “bife” (uma porção de carne, cortado em um filé fino, normalmente frito na panela ou chapa e servido no prato) ou “churrasco” (normalmente assadas no espeto ou na grelha e fatiadas no momento de servir). Imagino que “bife” é uma tradução mal-feita de “beef” a palavra em inglês para designar carne bovina. Bife aqui é “steak”. “Barbecue” é uma palavra usada nos paises de língua inglesa para o aparato para se cozinhar carne (a “churrasqueira”) ou o evento onde se prepara carne na grelha (a “churrascada”). Mas no sul dos EUA “Barbecue” (BBQ) tomou significado próprio. É uma forma específica de se preparar carne (normalmente suína): a carne é defumada e cozida em temperatura baixa por várias horas até ficar bem macia (“fall off the bone”) e servida com um molho doce a base de tomate, vinagre e acúcar (“BBQ sauce”). Então, como se come carne nos EUA? Enquanto no Brasil tem gente que come um “bife” quase todo dia, nos EUA, quem come carne no dia-a-dia, normalmente o faz na forma de hamburger no restaurante fast-food. O “steak” americano é um pedaço substancial de carne (normalmente 300-500g) de uns 3cm de altura, temperado com sal e pimenta do reino, preparado na grelha e servido ao ponto. É como se come carne quando se vai a um “steak house”. Os cortes melhores e mais populares são o “Rib Eye Steak” ou o “NY Strip Steak” (ambos em torno do contra-filé). Quando se pede carne em um restaurante, você vai ouvir a pergunta “How do you want your steak cooked?” As respostas esperadas são “rare” (tostado fora, cru por dentro), “medium-rare” (ao ponto, que é o ponto certo), ou “medium” (um pouco mais passado que ao ponto). Se você disser “medium-well” ou “well-done” (bem passado), corre o risco de ser chutado para fora do restaurante (o que seria bem merecido). A imagem que americano come “hamburger e hot dog” é correta até certo ponto, mas é normalmente distorcida para indicar que americanos não entendem de carne (o que não é verdade). No churrasco do quintal, hot dogs são para as crianças. Além dos “steaks”, o corte mais comum para se assar carne na grelha em peça inteira é o “tri-tip”. Nos EUA, o termo “Barbecue” pode ser usado como o brasileiro usa “churrasco” (uma reunião onde se prepara carne na grelha), mas também indica um jeito específico de se preparar carne no sul (defumada, assada em fogo baixo por horas, servida com molhos doces). Preste atenção no contexto. Se estiver na California e te convidarem para um BBQ no quintal, provavelmente é um churrasco como você está acostumado. Se perguntarem se “voce gosta de BBQ?” ou convidarem para ir a um “BBQ restaurant”, isso significa outra coisa. Colocar molho BBQ no steak é confusão de Californianos que não entendem de carne e que (pasmem) as vezes é copiado em outros lugares por gente desinformada. Em boas steak-houses, pedir “BBQ sauce” é ofensa ao mestre churrasqueiro. Churrascarias, ou “Brazilian Steak Houses” ficaram comuns nos EUA nos últimos anos. O Fogo de Chão (que tem mais restaurantes nos EUA que no Brasil) e outra cadeias brasileiras tem restaurantes na maioria das capitais americanas. O americano sofre tentando pronunciar “churrascaria”, mas gosta da experiência.